The K-Yan has won the Indian Innovation Award 2005 and Maharashtra IT Award 2004 for the best community learning technology. The Outlook Magazine has also rated it as one of the top innovations that will change India. Over the past seven years, over 2,00,000 teachers in 8,000 government and private schools have been using the K-Yan to change the way their students learn in classrooms. Pre loaded with 2D/3D multimedia content, K-Yan facilitates better understanding of concepts. K-Yan with its in built interactivity empowers teachers to improve student engagement in classrooms. Internet connectivity enables access to a wide library of educational resources and video streaming. The large screen projection capability of K-Yan allows for group training programmes. The portable design of the K-Yan makes it a handy information dissemination tool. 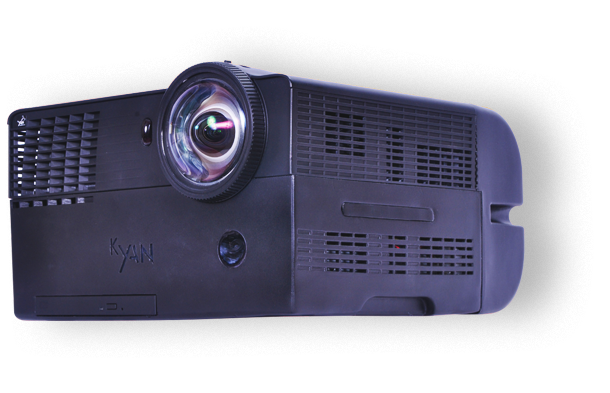 Equipped with web camera and internet connectivity, K-Yan facilitate video conferencing. K-Yan converts into a large screen TV when connected to a set-top box. Enables a home theatre like experience with large screen projection and superior audio. 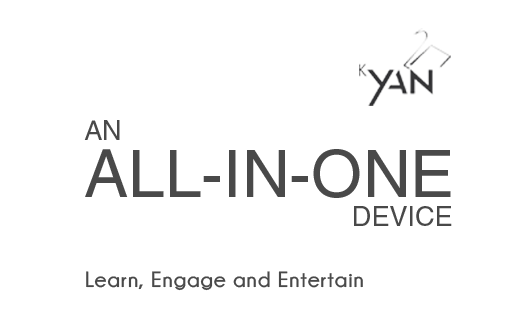 K-Yan can be connecnted to various gaming consoles delivering a live gaming environment.